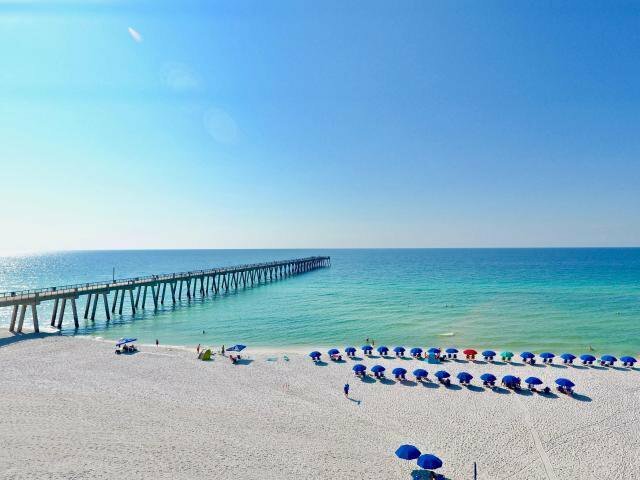 BEST DEAL ON NAVARRE BEACH!!! 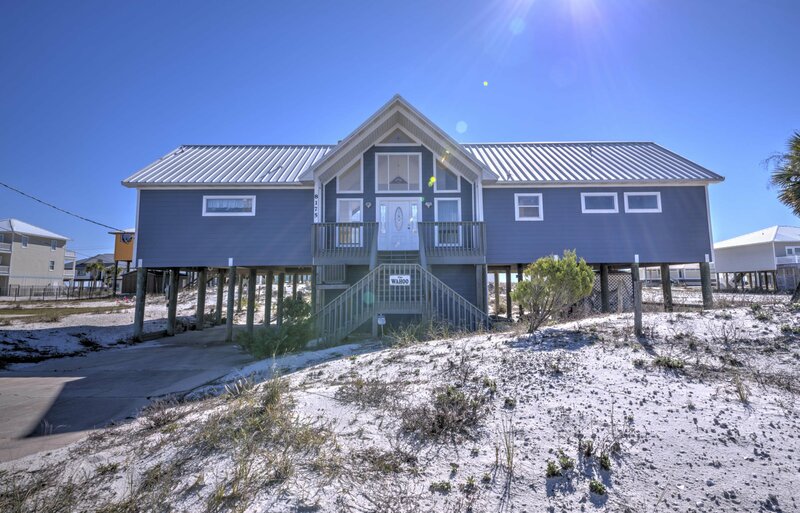 REDUCED by $20K! 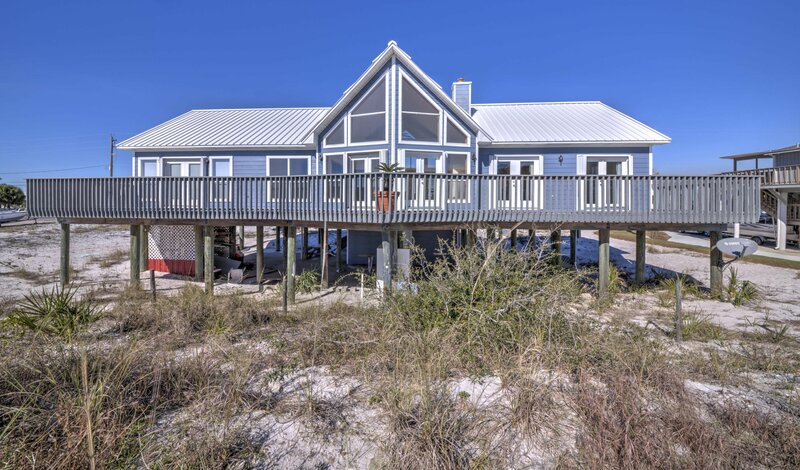 BEACH HOME - WATERVIEWS OF GULF, The Sun Shines on The Wahoo! 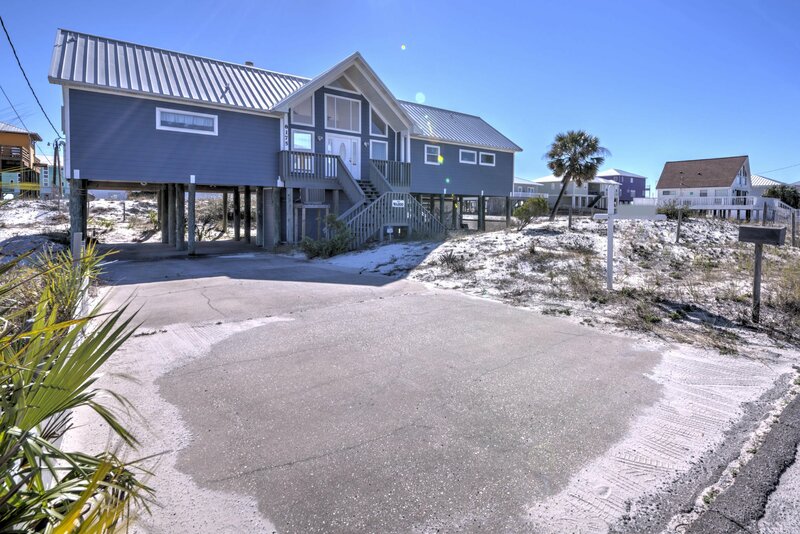 This Spacious home has 1860 Sq Ft, 3 Bed/2 Bath, Open Kitchen/Dining, huge Living area and Massive Back Deck, Large Private (no HOA) Lot & Driveway, and provides Stunning Views of the Emerald Green Ocean/beach from inside & out. 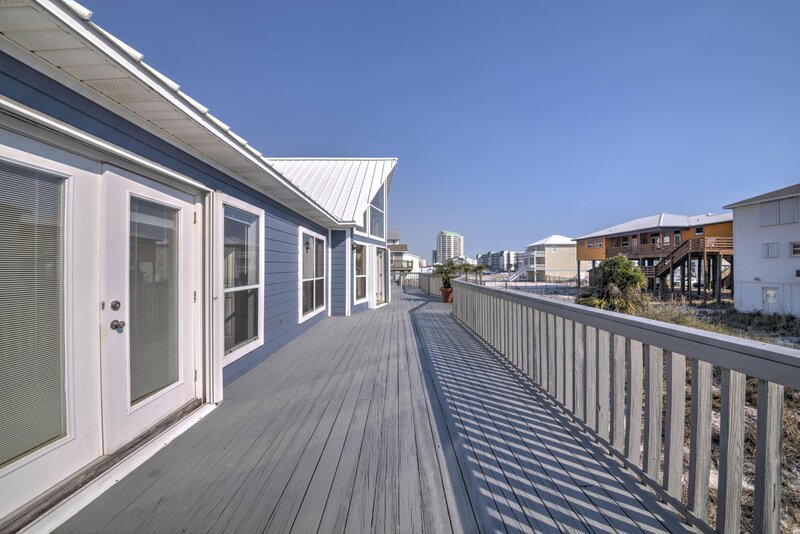 There's plenty of Space to Entertain, Relax, and make lasting memories. 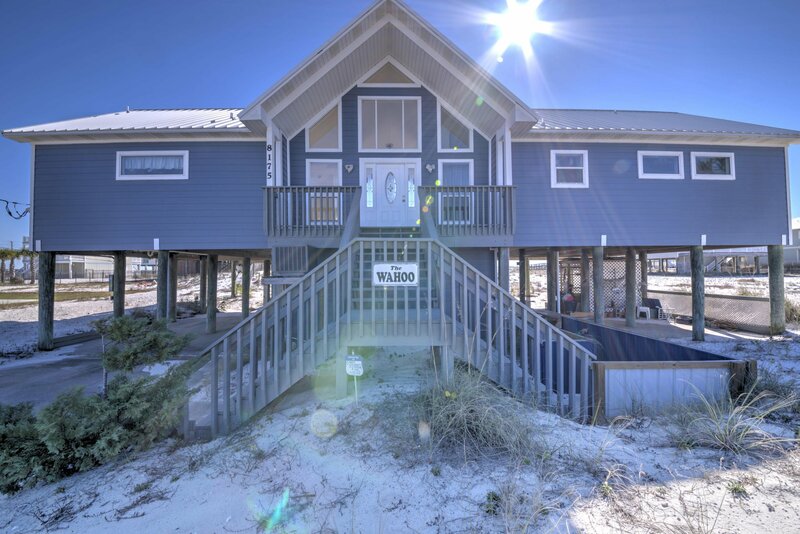 Never rented, but would make perfect Vacation Rental or Primary Home, Only 1 Owner who loved, maintained, and built The Wahoo to last. 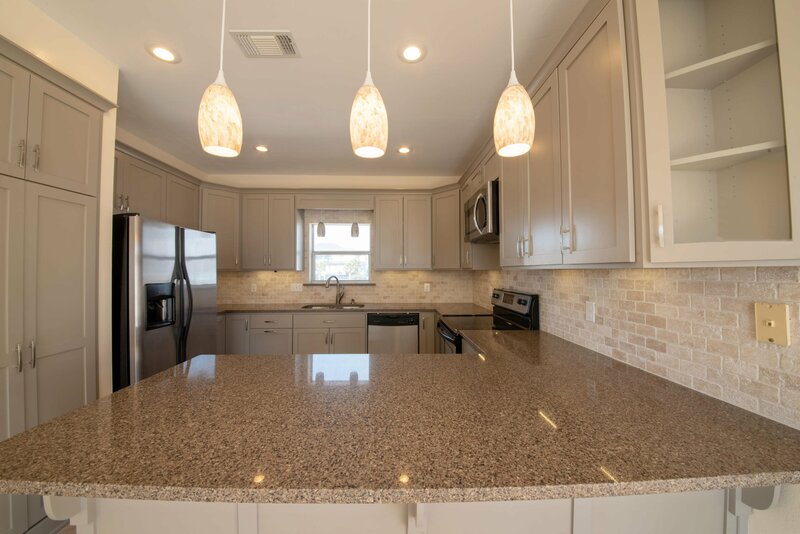 The Kitchen and Master Bath were remodeled with over 40K dollars of updates, from Quartz Countertops, Custom Cabinetry, Recessed Lighting, Upgraded Fixtures to Exquisitely Tiled Bath/Shower w/custom Glass Doors, w/Jetted Tub. 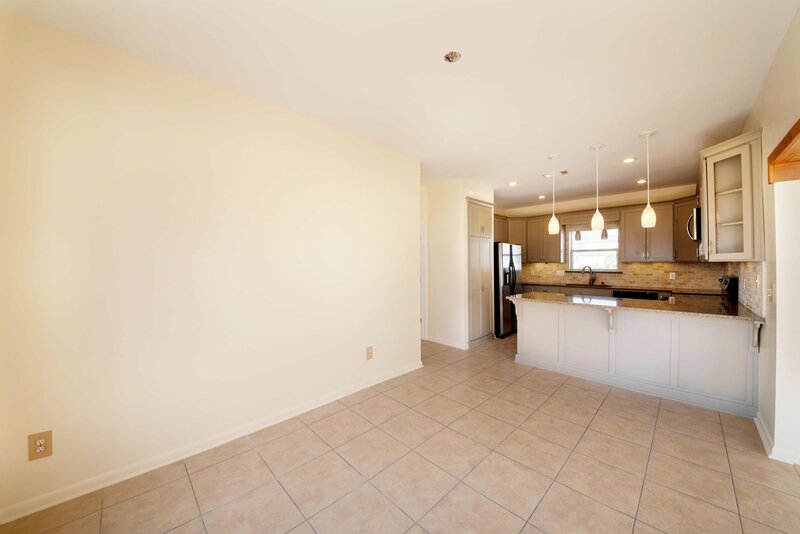 Click ''More...'' There is Tile/Wood Flooring throughout and Fresh Paint.... 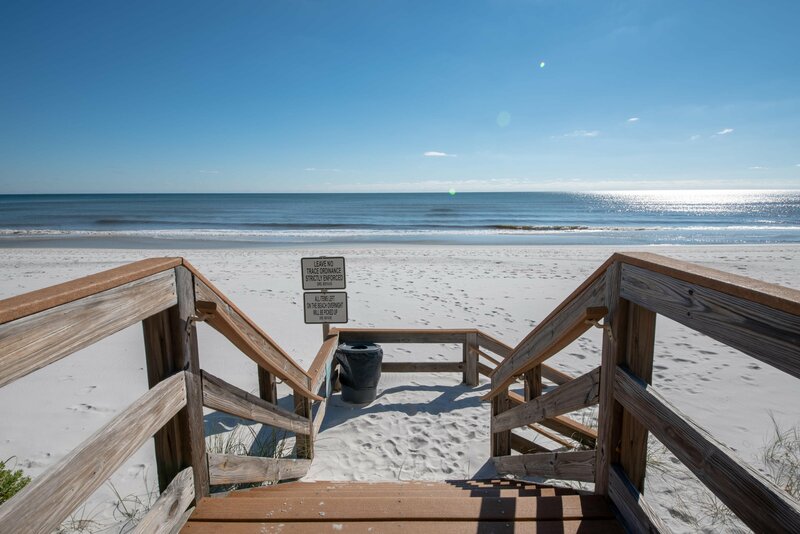 There are views of the Gulf from nearly every Room! Also, The Wonderful Wahoo has plenty of storage/closets, space, and a cozy Breakfast Bar. HVAC system is approximately 3 Years and Microwave new as of 2018. 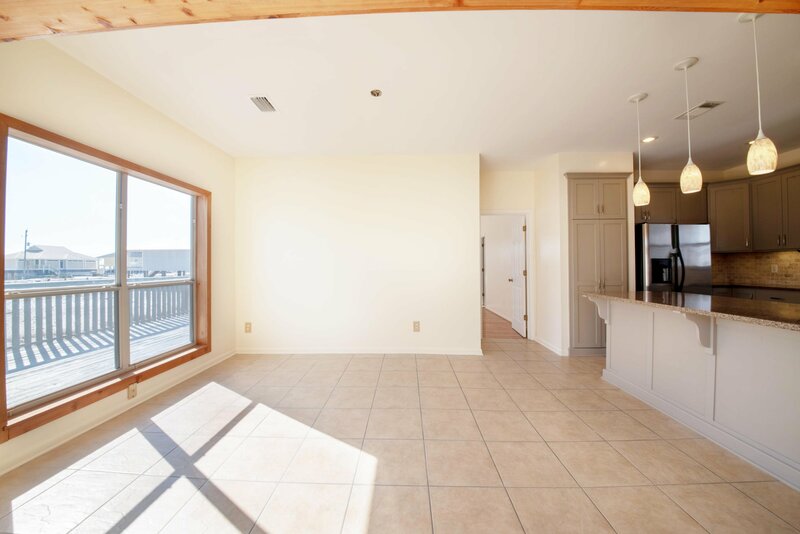 The Cathedral Ceilings & windows truly make the great Room Great and lets in tons of light. 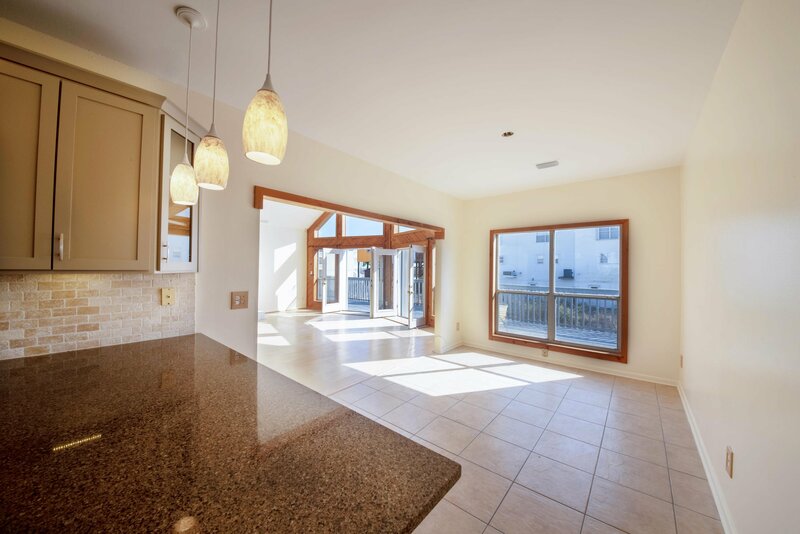 Dining Area has plenty of space for formal dining or entertaining with a view. 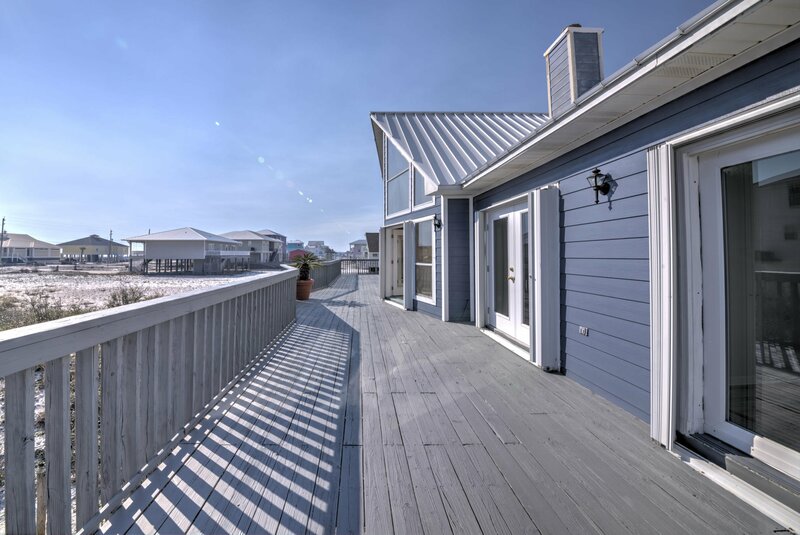 The rear Deck is huge, providing plenty of space for outdoor entertainment/relaxation. Open the French Doors in Every South Facing Room, Relax and feel the Breeze and listen to the birds sing and Ocean Waves coming to shore. 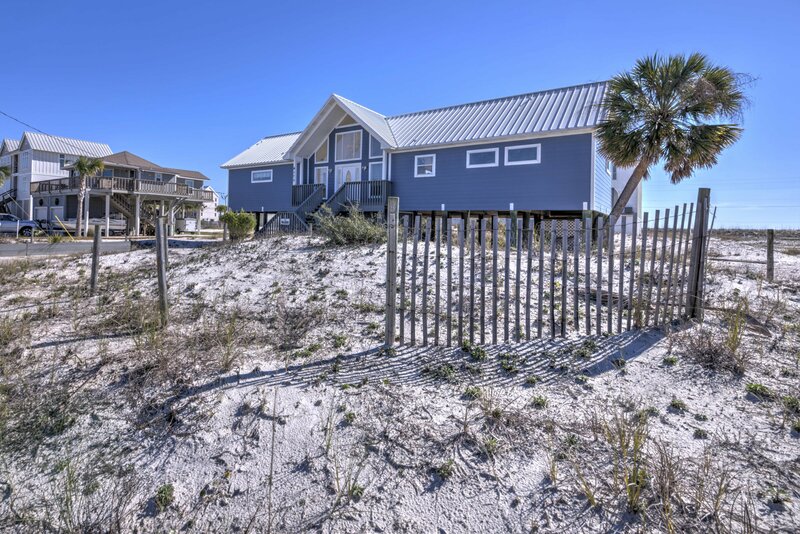 The Exterior has New Paint (2018), Re-inforced Hardiplank siding w/2 inch Stainless Steel & Galvanized hardware along with New Doors and Built-in Shutters, and Metal Roof w/50 Year Transferable Warranty. 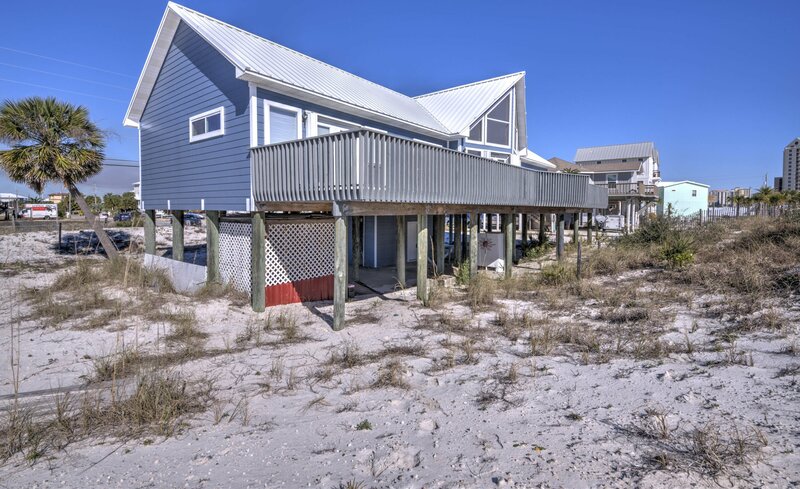 The main construction consists of 2 x 6 framing, and 3 / 4 inch plywood, with all stainless steel hardware and painted rust reduction galvanized clips around the decking/under carriage of the home. The Roof, and Decking of Great Room has foam insulation. Additionally, there is an over 160 Sq foot Workshop/Storage located on the ground floor. 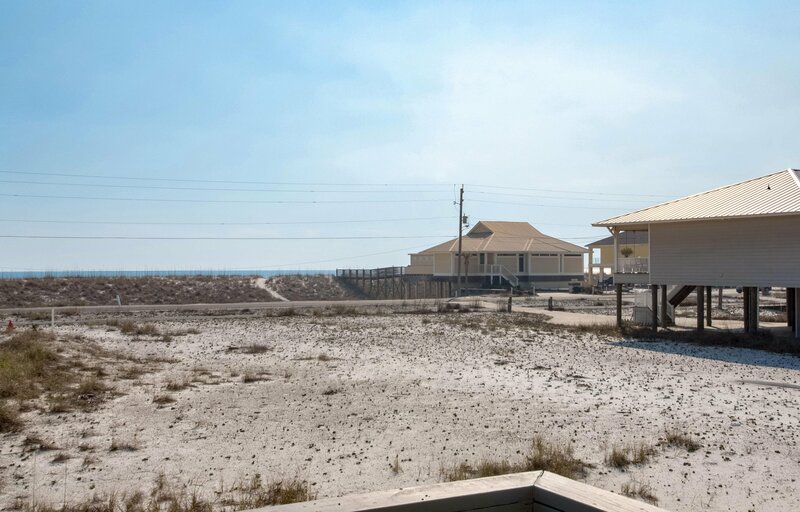 Don't miss this opportunity to have your very own Beach Home on Navarre Beach, a beautiful place to call home and one of the last areas with that "Old Florida" feel, coined as "Florida's Most Relaxing Place." 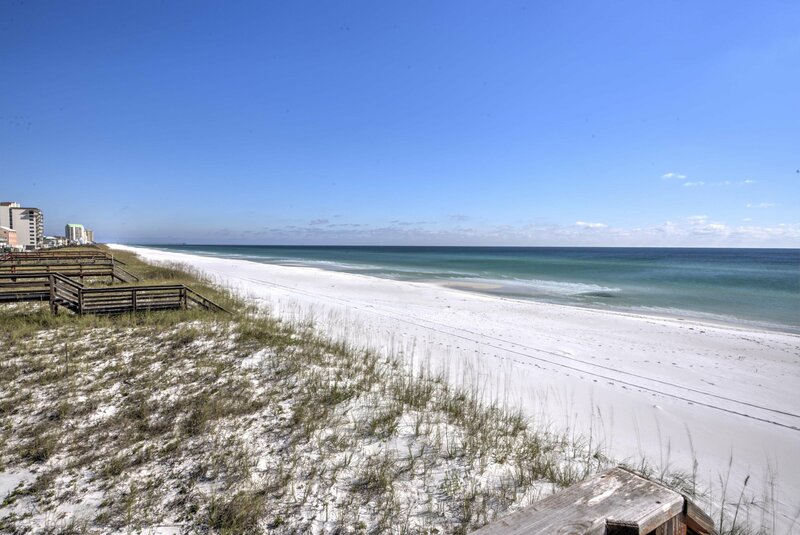 Enjoy the Crowd-Free Beaches, Emerald green waters and miles of Sugary White Sand Beaches, Walking & Biking Trails, Florida's Longest Fishing Pier, Gulf Islands National Seashore to the west and county owned park to the east for ultimate in privacy and leisure.